We are trying to strengthen our Endowment Fund for the future. The matched funds will be deposited in our Investment Fund to earn interest which will be used for giving grants for new ministries, one-time church needs, missions and scholarships. We have given over $34,500 in grants and $19,000 in college scholarships since 1994. Trinity is not your ordinary church. We proclaim that loudly and boldly because we believe that it is true. On the outside we don't look much different from any other church. We do many of the same things. What makes Trinity unique is a very simple process; three steps that we encourage for every member of the Trinity family. 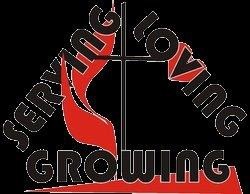 LOVING - Jesus said that the greatest commandments are to love God and love neighbor. The first step in our process is to fall in love with God and that begins with worship. The goal of worship is to deepen our relationship with God and with each other. We believe that worship should be that place where every person has the opportunity to experience the unconditional love of God. GROWING - Worship begins the process of spiritual growth, but small study groups are also important in nurturing that growth. It is our goal that every person connects with one of our many small groups such as Sunday School, Disciple Bible Study or Apprentice. God does amazing things in our lives when we commit to a small group for spiritual study. SERVING - The Christian faith is not just about a personal relationship with Jesus, it is about making a difference in the world by building the Kingdom of God. We have many opportunities to be in mission to the world as well as servant ministries within the church. We believe that church is not simply a place we come to be fed, but a training center to serve in the Kingdom of God. If you are looking for a church where you can fall deeply in love with God, experience spiritual growth and participate in serving in the Kingdom of God, then we invite you to Trinity United Methodist Church. It will not be an ordinary experience.